The Heritage vessel Alaska Pirate�s Pride (APP), built by Stone Boat Works of San Francisco in 1927 is streamlined by her Steam Boat hull configuration and core construction from Alaska Sitka Fir. 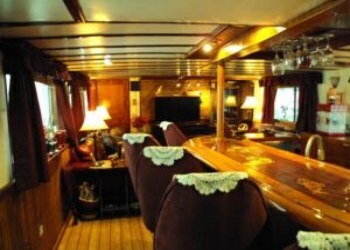 The Alaska Pirate�s Pride remains an authentic vessel, stable platform, smooth on the water and beautiful on the eye. 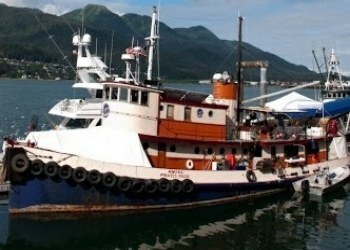 The Alaska Pirate�s Pride motor yacht is an 86 foot converted Tugboat based in Juneau Alaska. 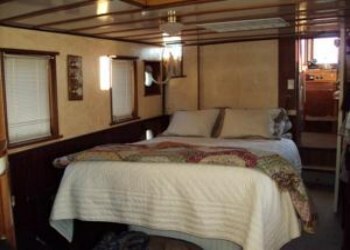 This unique vessel can accommodate 8 guests in 4 state rooms including 2 double, 1 single and 1 �family style room� custom built in oak with 8 bunk beds. 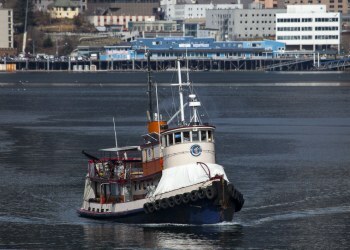 The APP was built in 1927 and used as a towing vessel during World War II. She operated full time and year round in all types of weather and at least through one hurricane. Since her retirement, APP has been performing in top shape in her new role of cruising the Inside Passage of Alaskan Coastal waters and offering a comfortable home to Captain Bud, his wife Bert and many visitors. 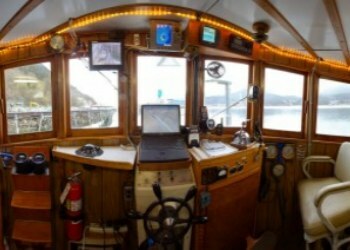 With a modern fuel efficient engine and an old fashioned wheelhouse, the APP brings back a nostalgic glimpse of an era on the Northwest coast and the people who worked on these many boats that plied the Inside Passage. Rebuilding and refurbishing the Pirates Pride proved to be the right move for Captain Burt W. Cook, bring her history to life and making her not only a heritage vessel but also a very popular and an attractive sight. No modern vessel can compete with the charm and ambience of Old Tugboats with their classic lines and quiet comfort for passengers. Double, single queen or "family room - bunk style" bedrooms with shared bathrooms. Each room is equipped with a mini-frig, flat screen/DVD, and free WI-FI. buffet of fresh fruit, yogurt, granola and always a fresh baked treat.